On your next visit to London explore the legendary market at Harrods. Grab a picnic to go and retire to Hyde Park, where British artists (think Damien Hirst) have been commissioned to design the lawn chairs next to The Serpentine. 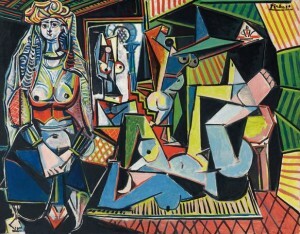 The art community is buzzing this week with news of the record-breaking $179.4 million sale of Picasso’s 1955 painting “Les Femmes d’Alger (Version ‘O’)” at a Christie’s auction. Alberto Giacometti’s gaunt bronze sculpture, “L’homme au doigt (Pointing Man)” sold for $126 million, an auction high for any sculpture, the same evening. 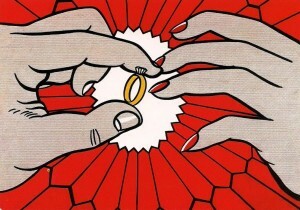 Tonight, Sotheby’s is putting Roy Lichtenstein’s “The Ring (Engagement)” on the block with the expected price tag of $50 million. We would be remiss not to address that today’s art collectors are not just anonymous billionaires. Hotels and hospitality brands are in the game as well, in a big way. It’s as though having great art has become the cost of entry in the luxury travel market and with good reason. It’s a major draw in attracting the affluent traveler who is looking for a story to tell about their hotel experience. And because there is so much competition in the space, unfortunately a Botero in the lobby is no longer “special.” Here, we take a look at three outfits that are taking something seemingly mainstay, and making it their own. 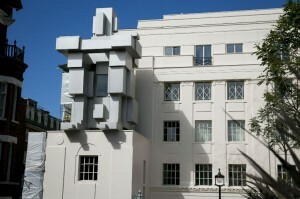 London newcomer The Beaumont not only has a culinary pedigree being the first hospitality project from Corbin and King, it also features an inhabitable sculpture created by acclaimed artist Antony Gormley. Titled “ROOM,” it is a distinguishing mark on the hotel’s facade as well as a part of its room inventory. The hotel is also filled with original sketches and paintings by San Francisco-based illustrator John Mattos, who drew 48 black and white cartoons for the hotel’s restaurant. UXUA Casa Hotel & Spa in Trancoso, Brazil is not just a haven for beach-combing “hippies” and celebrities looking to get off the grid. “Artist in Casa” brings a few creatives a year to UXUA where they live shortly and produce objects born of their own creativity from local inspiration and materials. It is a celebration of the destination’s heritage of welcoming outside artistic energies and the works left behind become a part of UXUA’s identity. Park Hyatt was founded by Jay Pritzker as an extension of his own home and hospitality for visiting friends – and for a place to showcase his art collection. A Richter hung on the wall of his Park Hyatt Chicago’s lobby for decades until it sold for $37 million last year. Park Hyatt hotels are the place for notable museum-worthy pieces, including: Lucio Fontana’s 1984 sculpture “Testa Di Medusa at Park Hyatt Milan; six works by Ed Paschke at Park Hyatt Paris-Vendôme; and a 570-square-foot mural by Sol LeWitt that the artist painted specially for Park Hyatt Zurich. 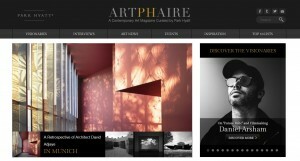 But where Park Hyatt goes above and beyond in establishing themselves as experts in art, is their publishing of ARTPHAIRE, an online magazine curated in collaboration with Anne Paternak, Tom Sachs, Marco Brambilla, Daniel Libeskind, KAWS, and others.